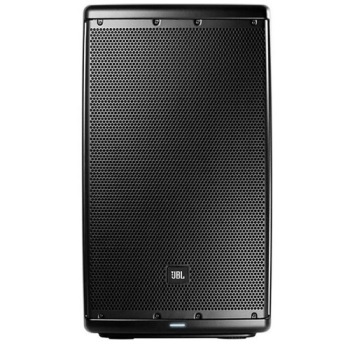 The JBL EON 612 powered speaker boasts a 1000W peak power amp in an enclosure that only weighs 33lbs! Complimented by a 12" JBL woofer and a 1" neodymium compression driver. With a wide coverage pattern, this speaker works well as a main speaker or a monitor. On-board Bluetooth connectivity allows control over volume, 3 parametric EQ's, and a Hi-Low shelf EQ. The free control app is available for both iOS and Android devices.